BRUSSELS, Belgium, December 4, 2014 (ENS) – A political agreement on new legislation to allow EU member states to restrict, or ban, the cultivation of crops containing genetically modified organisms, GMOs, on their own territory, even if it is allowed at EU level, was reached by Parliament and Council delegations last night. Starting next spring, member states will be able to ban GMOs stating environmental policy objectives as a justification. These objectives would relate to environmental impacts other than the risks to health and environment assessed during the scientific risk assessment. Bans could also include groups of GMOs designated by crop or trait. 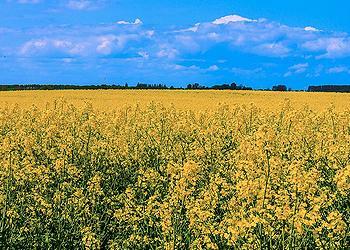 GMO crops in Europe include: corn, soy, sugar beet and rapeseed, among others. European institutions “have showed great responsibility and attention as regards a very delicate issues, which concerns the whole society, from farmers to consumers,” Galletti concluded. The agreement in principle comes after years of intense debate on this issue. Producers of GMO seeds and crops claim that the technology and the foods it producers are just as safe as naturally produced crops. They claim a scientific consensus supports their position. “The claim encourages a climate of complacency that could lead to a lack of regulatory and scientific rigour and appropriate caution, potentially endangering the health of humans, animals, and the environment,” ESSER said in a formal statement. Greenpeacers from Italy, Austria, France, Germany and Hungary, among other countries, have been campaigning against GMO crops for years, as have other environmental and public health organizations. MEP Frédérique Ries of Belgium has been steering the measure through Parliament. “The agreement reached last night on the directive, which goes into effect Spring 2015, will ensure more flexibility for member states who wish to restrict the cultivation of the GMOs in their country,” she said. 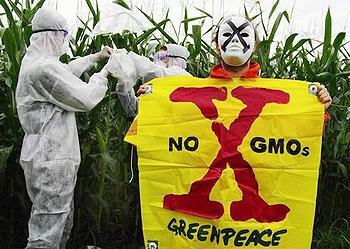 “It will, moreover, signpost a debate which is far from over between pro- and anti-GMO positions. As to what comes next, I place my trust in Commission President Jean-Claude Juncker’s formal pledge to strengthen the democratic process on GMOs in Europe and ensure that research is genuinely independent,” said Ries, who is with the Alliance of Liberals and Democrats for Europe. The informal agreement reached last night is to be discussed in the member states’ Permanent Representatives Committee (COREPER) on December 10 and still needs to be backed by Parliament’s Environment Committee and the full House, as well as by member states. The legislation is expected to be voted in plenary in January 2015. “This agreement was long overdue and we welcome this result, if confirmed by the Council and the House. Member states wishing to restrict or ban GMOs would now have the possibility to do so, without facing the risk of being taken to court. It is important to let the member states take a decision in full subsidiarity, and to listen to our citizens, who, in certain member states, refuse to have GMOs forced upon them,” said Environment Committee Chair MEP Giovanni La Via. The agreed text of the new measure is in line with President Juncker’s commitment to give the democratically elected governments at least the same weight as scientific advice when it comes to important decisions concerning food and environment, said Andriukaitis. “I fully trust that this agreement in principle will be formally endorsed in the coming weeks by the European Parliament and the Council, allowing the member states to start exercising their extended capacities to decide on GMO cultivation as from spring 2015,” he said.